Tree Speak | Casey Trees: Casey Trees Nominated for a Hilly Award! Casey Trees Nominated for a Hilly Award! Thanks to your kind recommendations, Casey Trees is nominated for Nonprofit of the Year in the third annual Hilly Awards, put on by the Capitol Hill Chamber of Commerce. Casey Trees has planted hundreds of trees in the Capitol Hill area. Of note are the more than 50 American elms along 8th Street SE that were planted in 2003 through Casey Trees’ American Elm Restoration program. 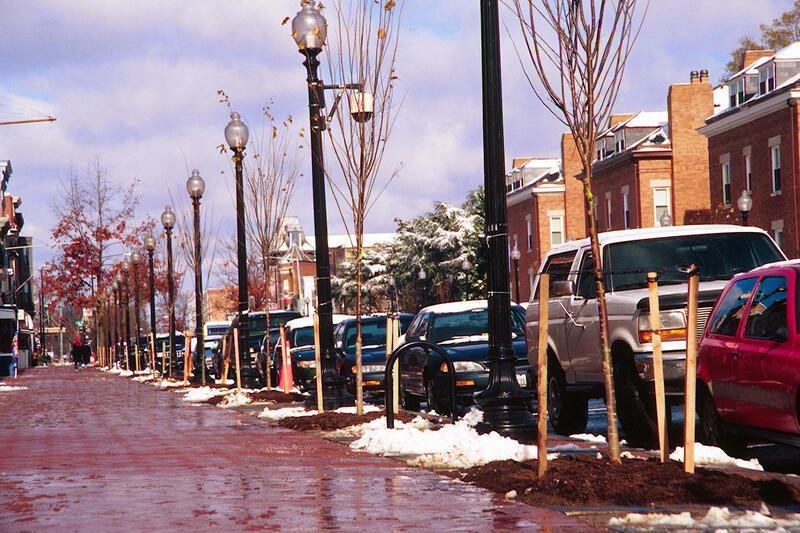 2003 photo of American Elms planted on Barracks Row by Casey Trees. 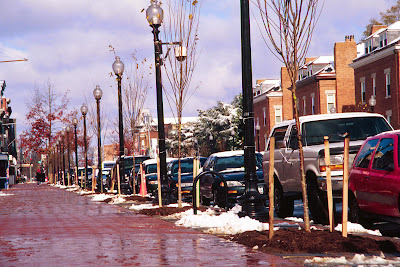 Take a walk down 8th Street SE to see how much these elms have grown! Additionally, Casey Trees will plant at Capitol Quarter, Greenseed Community Garden, Chamberlain Public Charter School and the Capitol Hill Montessori School during this fall’s Community Tree Planting season. Voting for the 2011 Hilly Awards ends on Oct. 28 and the winners will be announced at an awards ceremony in November. Vote here! Fall Foliage to Look Out for in D.C.